Even though I officially live in University Park, when people ask me, I usually say I live in State College. There is a difference though. University Park is one of the campuses of the Penn State University. It's the largest campus with 46,000 students and "the flagship" of PSU. It is located in State College, a cute little city of about 40,000 inhabitants. State College is situated at the foot of Nittany Mountain in a valley known as Happy Valley. This area was not hit as hard as the other parts of the US during the Depression, hence the name. 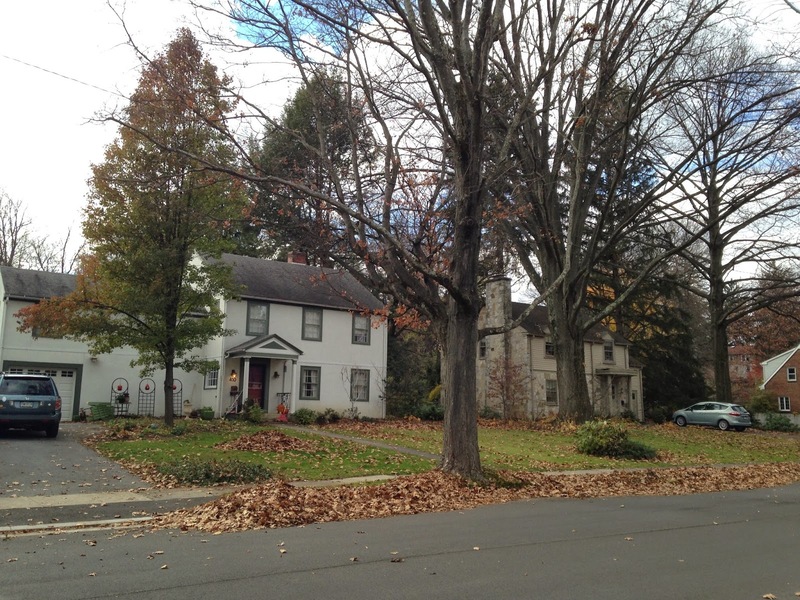 What impressed me most in State College is the openness of living - there are no fences around the houses and anyone can walk into a house straight from the street. In Croatia, there are fences around houses and in some parts of the country the fences are so high and made of concrete that they completely separate the residents from the rest of the world and keep them within the "confinement" of their house, their front and back yards. Does this mean that we are less sociable than Americans and don't want to hang out with our neighbors? I'm sure my fellow countrymen and countrywomen would resolutely defy it! Could theft be a possible reason why we are enclosed within the fence? Are we afraid of thieves more than Americans? No, I don't think so. It's probably the way of life that we've been leading for centuries, a tradition: as much so as not putting up a fence is customary here in the US. I can't now remember what it's like in other European countries. Fences or no fences? I have never paid attention to open spaces around people's yards while traveling around Europe. Maybe it's because it's the same as at home. We only rarely notice similarities, it's the differences that strike us most.